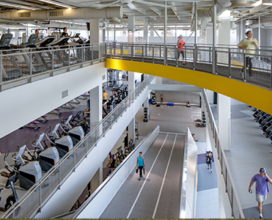 Explore all of UREC’s facilities by clicking on a thumbnail. 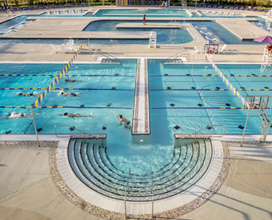 40,000 sq. 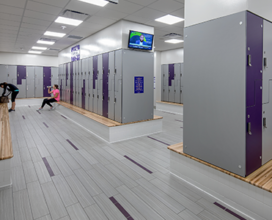 ft. of cardio and weight equipment with almost 5,000 sq. ft. of functional training space. 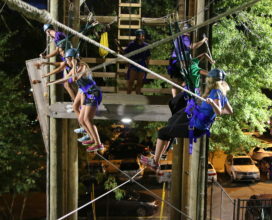 Challenge Course features a Cargo Net Challenge, Swinging Vines, Swinging Bridges, and Tandem Hydraulic Ziplines. It also has low elements including: Islands, Swinging Vine, Triangle Tension Traverse, Wild Woozy, T.P. 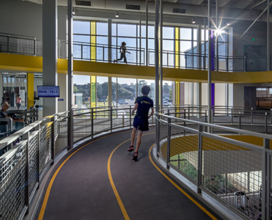 Shuffle, All Aboard, Circular Whale Watch, Spider’s Web and Team Wall. 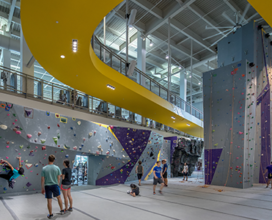 The Climbing is made up of the Climbing Wall and Bouldering Wall. 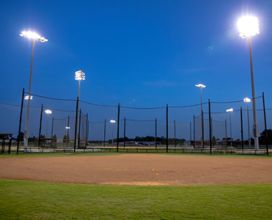 The Field Complex features 4 softball fields, soccer and flag football fields. 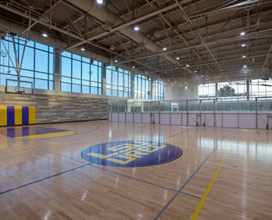 This provides ample space for Intramural Sports, Sport Clubs, and Open Recreation space. 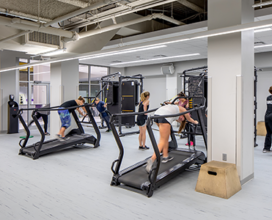 This area will provides students the opportunity to get various fitness assessment testings. 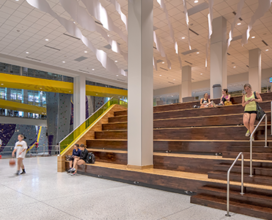 The grand staircase will provides students the opportunity to unwind after a workout, study, catch the LSU game on TV, or challenging a friend in a game of table tennis. 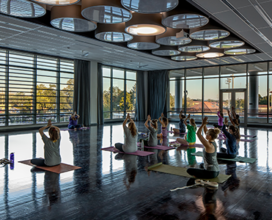 The Mind & Body Studio is an open relaxing space with windows that can open and close. 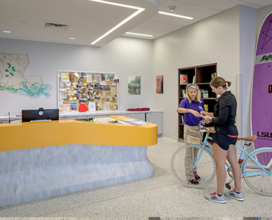 The Outdoor Adventure Center allows users to rent outdoor gear, plan trips and register for outdoor programs. 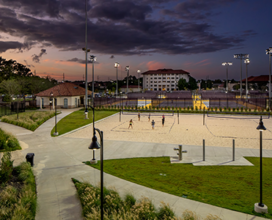 A hidden gem at LSU. 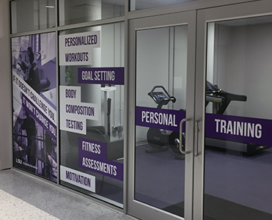 The Performance Training Studio is utilized primarily for Personal Training and Small Group Training classes. 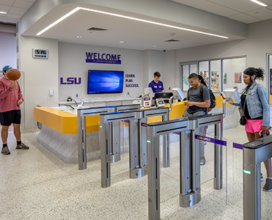 It’s also open for drop-in participation when classes are not in session.